Widow of Connecticut Superior Court Judge Milton Fishman. Was found murdered in her home in Boca Raton, FL. Linda Fishman, 55, of Boca Raton, FL and formerly of Meriden, died Friday, (February 7, 2003). She was preceded in death by her husband, Superior Court Judge Milton Fishman in 1986. Upon her retirement ten years ago, she moved to Boca Raton, FL to be near her family. 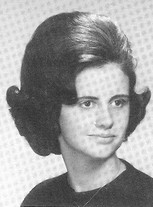 Mrs. Fishman was the Chief Records Court Administrator for Connecticut, heading the Superior Court records system for the entire state of Connecticut. She was on the Board of Directors for Family Services and the Cystic Fibrosis Foundation. She was very active in several local and surrounding area charity fund-raising events, with special interest to the Cystic Fibrosis and The American Heart Association. Linda was a very giving and caring person, who wanted to help anyone and everyone she could. She will be greatly missed, by her family and friends who loved her kind and generous heart. Linda was the center and respected head of the family, always available; she truly loved her family. She is survived by her beloved mother, Hope Millet Colligan, of Boca Raton; devoted brother, Arthur B. Colligan of Boca Raton; and loving sisters, Faith (Jerry) Dreschsler of Clinton Beach, Bernice (Jerald) Fercency of Boca Raton, FL, Brenda (Kenneth) Thoms of Kingston, TN; six nephews; two nieces; and ten grandnieces & nephews.